Two weeks ago I posted my E.l.f. Haul, so this week begins the product reviews! 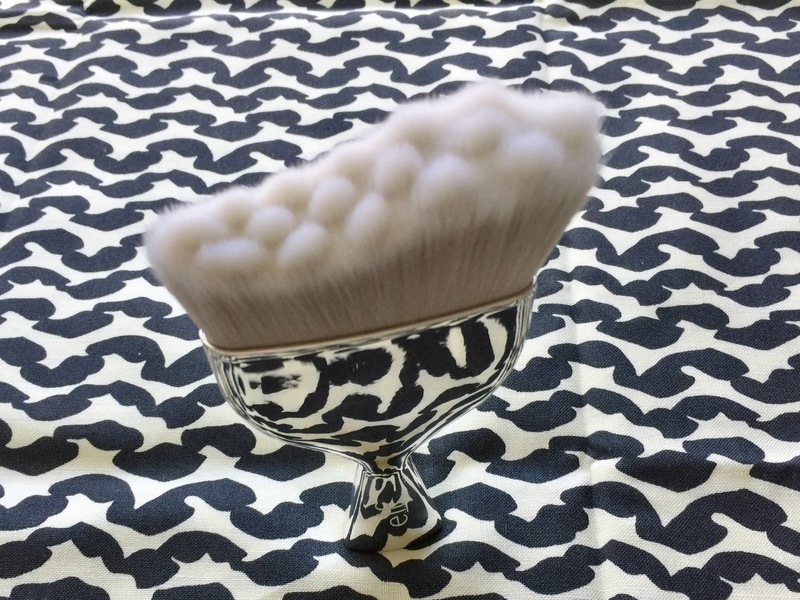 I’ve had a blast trying out so many products from one of my favorite brands, and of course, I must start with the strangest-looking makeup brush I’ve ever seen. When I saw a sneak peek of E.l.f.’s new Beautifully Precise Makeup Brushes, I knew I needed this one: the Multi-Blender Massager Brush. To be honest, I had no idea what is was used for until after I bought it, but I was so intrigued by the shape that I had to try it out! I assumed based on the curved shape that it was for contouring, and that is one possible use, but it’s actually intended for foundation! (Someone in an Instagram comment mentioned that it looked like a paintbrush, which is literally all I can think when I see it now.) It reminds me–in terms of function–of Becca’s The One Perfecting Brush, in that it can be used for a variety of applications at one time, depending on which part of the brush you use. That said, I’m more likely to use it for one thing at a time–either foundation, bronzer, etc. I used it for foundation for the first week, and while I think it works very well when used in this way, I’ve come to realize that I really just don’t like to apply my foundation with a brush. For me, dense brushes provide too much coverage and my foundation creases more when I use a brush vs. a makeup sponge. But if you like a brush for applying foundation, I highly recommend this one. It is so soft, and its large size makes blending out foundation a snap–you’ll be done in half the time. It’s curved shape also makes it easier to apply foundation along your jaw line to avoid that telltale demarcation line. I’ll most likely use this for contour and bronzer. I think it will blend cream contour and highlight well, and if you use different parts of the brush, it can be used for various powder products in one session. Is it worth $12, which is a pretty high price tag for E.l.f.? If you like to blend your foundation with a brush, then definitely. This price is comparable to many drugstore and affordable foundation brushes, such as those by Eco Tools or Real Techniques. If you’re just going to use it for powder, then it might be fun since it’s so unusual, but I don’t think it’s necessarily better than a traditional bronzer or contour brush. 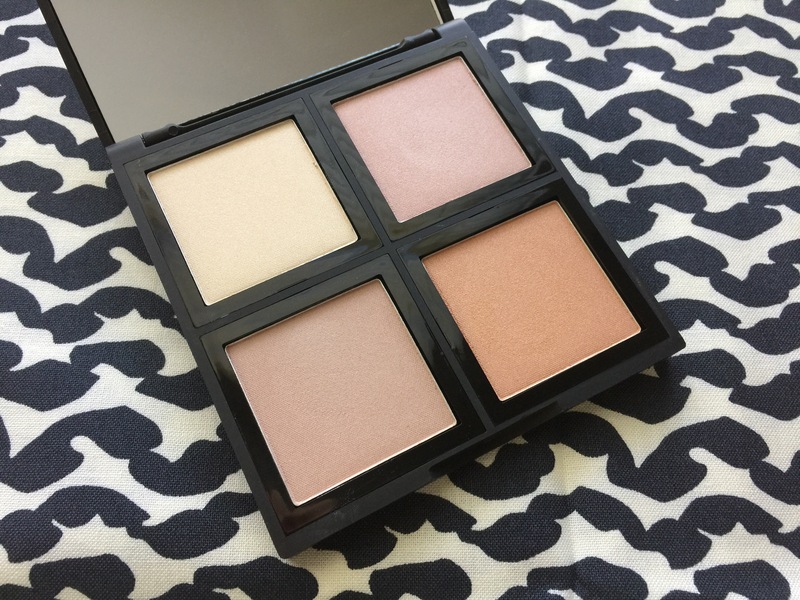 E.l.f.’s Illuminating Palette has been compared to the Hourglass Ambient Lighting Palette, in that it contains not only similar shades, but its finish is also a subtle glow rather than an all-out highlight. This definitely fits in the natural, “lit from within” category of highlights. It is so subtle that I’m not sure I’d even really call it a highlight so much as a luminizing powder. You can wear each color separately, but I actually like to swirl my powder or highlighter brush around the palette and apply this as a blush topper or even lightly as a face powder (avoiding my t-zone so I don’t like too shiny). Here are the swatches. As you can see, the colors do not differ greatly, and are not too shiny. I think this product is perfect for people who work in a traditional office environment, or any workplace that requires subtle or conservative makeup looks. It allows your skin to glow without an obvious glittery or shiny highlight. You’ll just look refreshed and awake, not overly made up. I also think this product would work well for people with aging skin, for whom stronger highlights emphasize texture or fine lines. Finally, I must say, despite my initial concerns, E.l.f.’s Perfect Finish HD Powder surprised me. 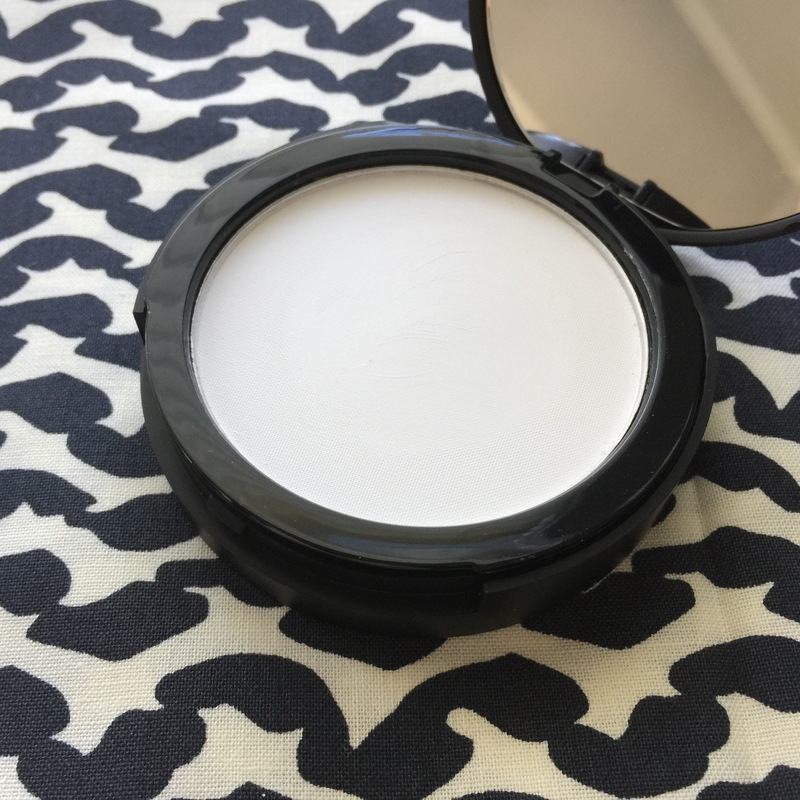 As I mentioned in my haul, I was not impressed with E.l.f.’s loose HD powder–it made my skin look slightly white and ghostly. This pressed powder, however, seems to actually go on more sheer and just mattifies without leaving any color behind. Perhaps I’m using a lighter hand, but I think the pressed formula actually allows me get less powder on the brush than the loose version. I used it as a finishing powder in my T-zone and as a touch up later in the day. 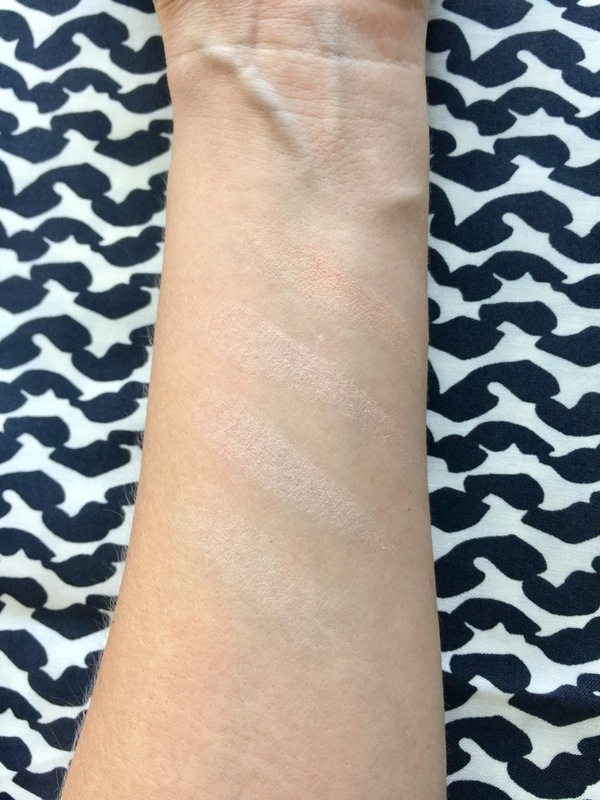 Even though my skin is on the dry side, it did not look cakey or powdery at all. I highly recommend it, though I do think it works best with a brush, which could make it difficult to use for touchups. Final Word: I’m 3 for 3 in my first round of E.l.f. Haul reviews! 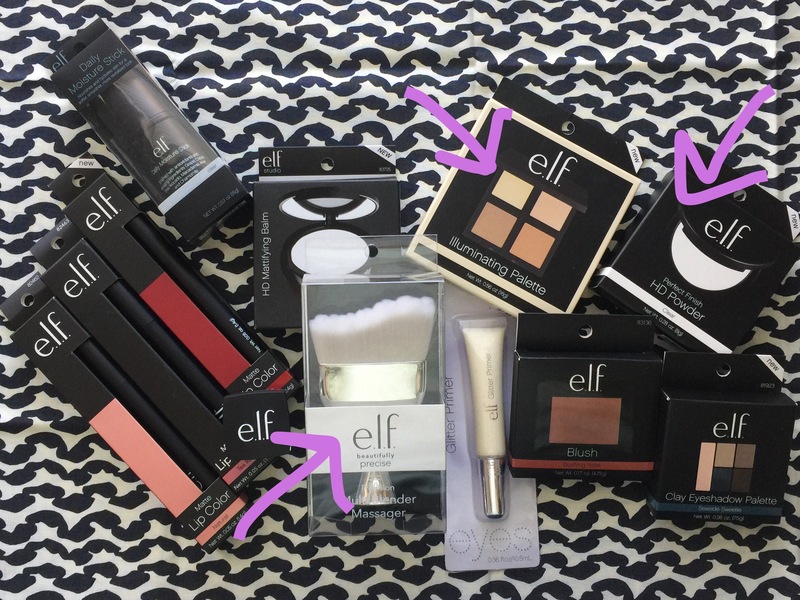 Not surprising for E.l.f.–I typically love their products. The Massager brush is just fun to use, and the Illuminating palette fills a nice gap in my makeup collection by offering a powder that provides a glow but is not a highlight. And the HD powder is awesome to set makeup or use for touchups, provided you don’t mind taking a brush along. Next Up: E.l.f.’s new Clay Eyeshadow palettes, their Studio Blush, and their Undereye Setting Powder. Check back in soon to see how those products worked out! I have no self-control when it comes to ELF makeup! I’m so glad you liked it! The brush handle is flat on the bottom, and I knew I wanted the majority of the photo to focus on the texture of the bristles, so this is what I came up with!